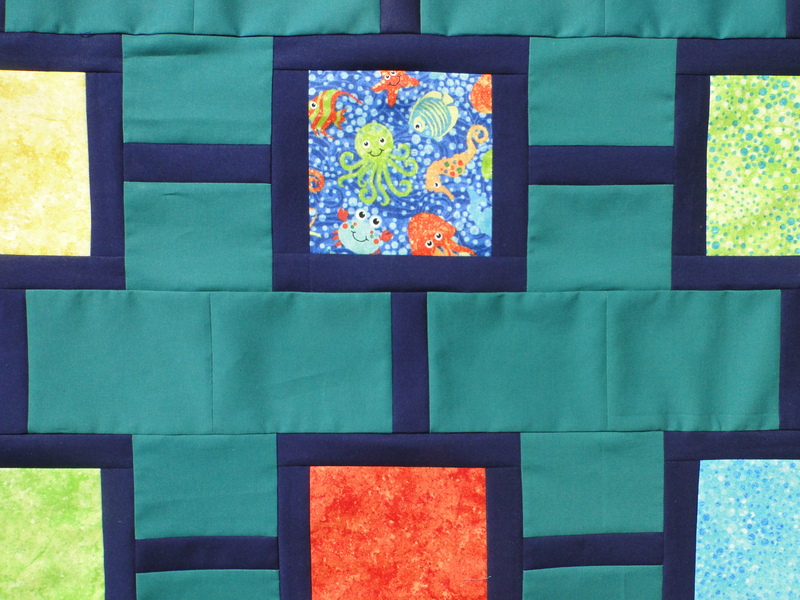 Last June I cut into some Stonehenge Undersea Adventure line by Linda Luduvico for Northcott fabrics with a view to starting “Sea of Pearls”, my variation on the String of Pearls Quilt that I intended on making as part of Christa’s Quilt Along. And there my progress stalled. 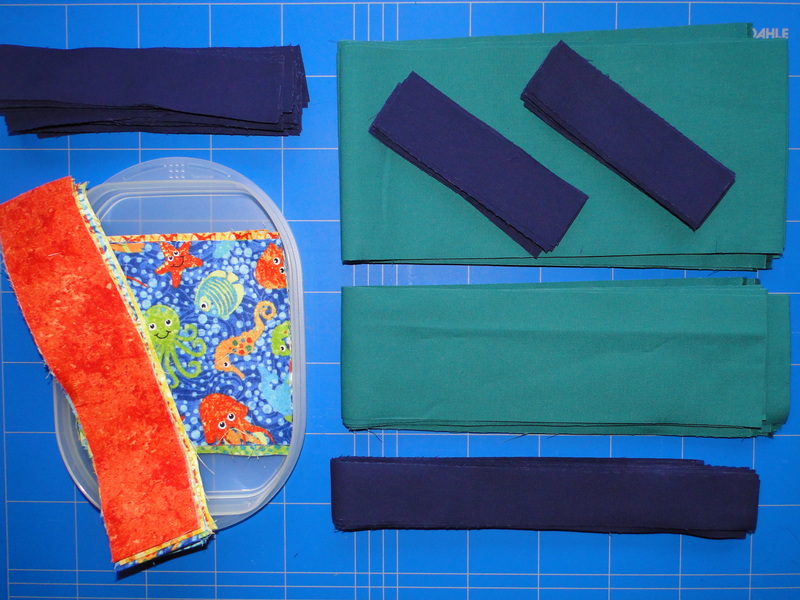 I was waiting on my chosen solids to arrive in the post but when they did arrive I had some more urgent projects (bridesmaids dresses) to keep me busy. Then there were holidays and before I knew it the summer had flown by, September had arrived and my undersea pearls remained very much unstrung. Not for much longer! Monday saw me slicing and dicing. By evening I was adding the first borders to my undersea pearls. Tuesday saw me drawn to my machine every chance I got as I finished piecing the pearls and strings and got ready for some stringing. I used EQ7 to play around with some fabric layouts till I found one I was happy with and by evening I had started stringing away. I must admit to cheating a bit at this stage. 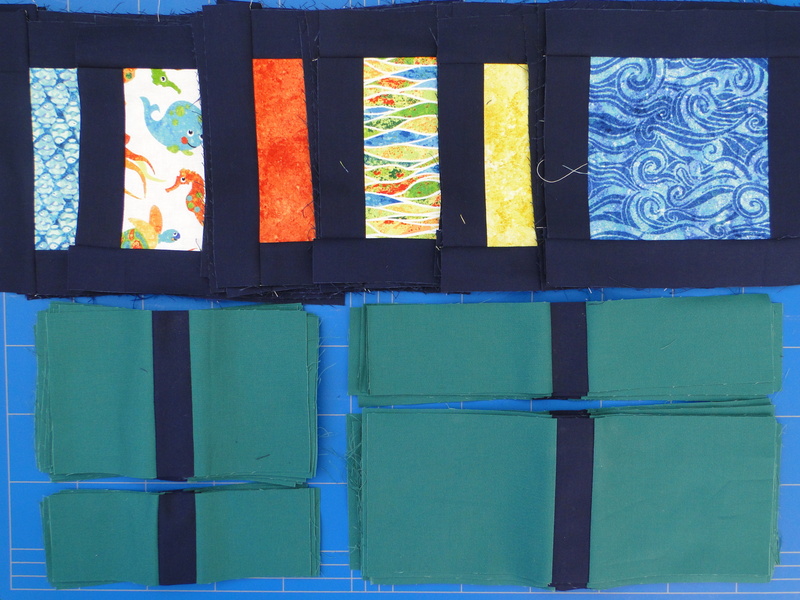 To cut down on sewing time, the amount of matching I would have to so and the number of seams in the final quilt I opted to use solid blocks for the strings between the pearls and to sew the quilt in rows rather than splitting the strings and sewing it as blocks as Christa had intended. I’m over the moon with the progress I have made on this quilt in just two days. The first two rows of pearls are complete and everything I had hoped they would be. 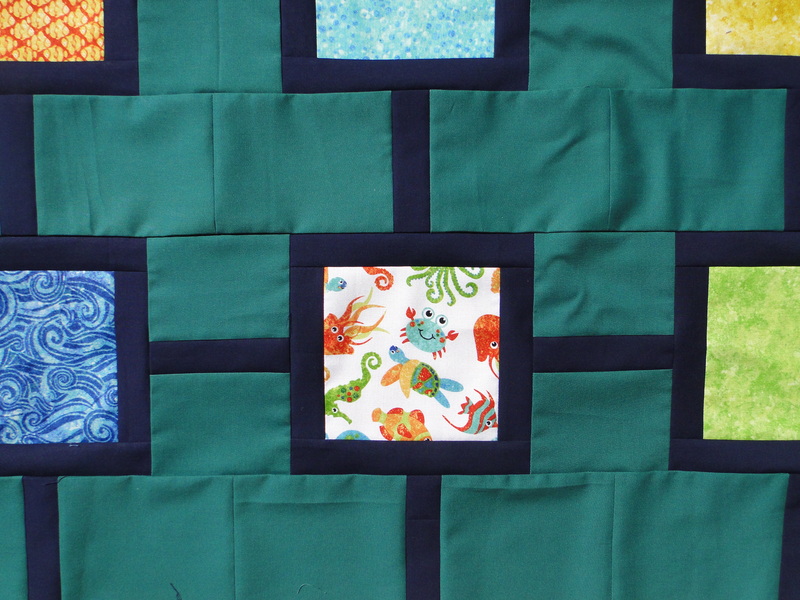 I am really looking forward to seeing the quilt top finished later today or tomorrow. While I was at the cutting mat on Monday I decided to cut up some undersea scraps to trial piece a broken herringbone block. The fabulous Molli Sparkles has just started the Molli Sparkles Broken Herringbone Quilt Along (MSBHQAL) and that is one quilt along I don’t intend to miss. I’ve trialed the block and can honestly say mine is a broken broken herringbone block! It all started off wonderfully but when it came time to trim the block for the first time I lined it up at the wrong point and things went a little pear shaped after that. 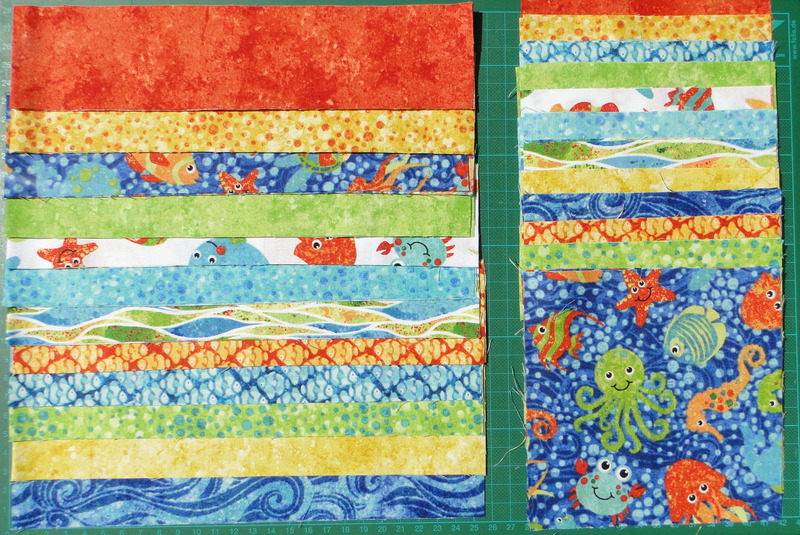 Not to make the exercise a total waste of time and fabric I kept piecing and salvaged a usuable block from my mistake. I now know how to properly line up and trim the block and I’ve also learned a lot about how the colour placement works, especially when it comes to working with directional prints. This block may be a little broken but I still say it has been a success. Linking up with the Molli Sparkles hijacked Work in Progress Wednesday over at Freshly Pieced. Hope to see you there. Love the fabric. Both projects look great! The off-center herringbone actually looks pretty cool… maybe broken is better? I love the undersea pearls, too! That’s how my first broken herringbone block turned out as well! 🙂 I ended up using it in a sampler quilt and no one is the wiser. I think yours looks beautiful, and I love the string of pearls quilt as well! I love how your string of pearls is coming along and I also love your herringbone block. I too am joining in the MSBHQAL but I haven’t made my practice block yet. Hope to get onto that this week before the action really starts to heat up next week. I look forward to following your progress. These colours totally work! 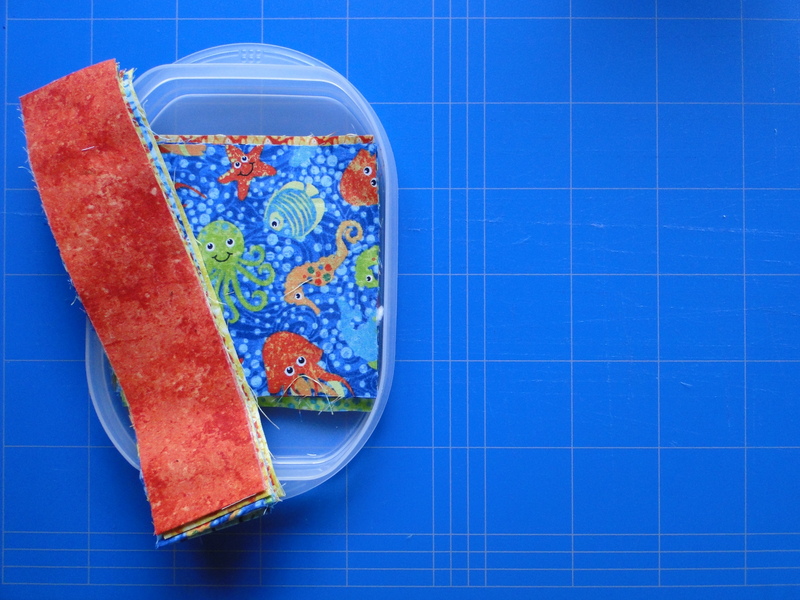 This could wind up being an adorable kids quilt with a modern edge! 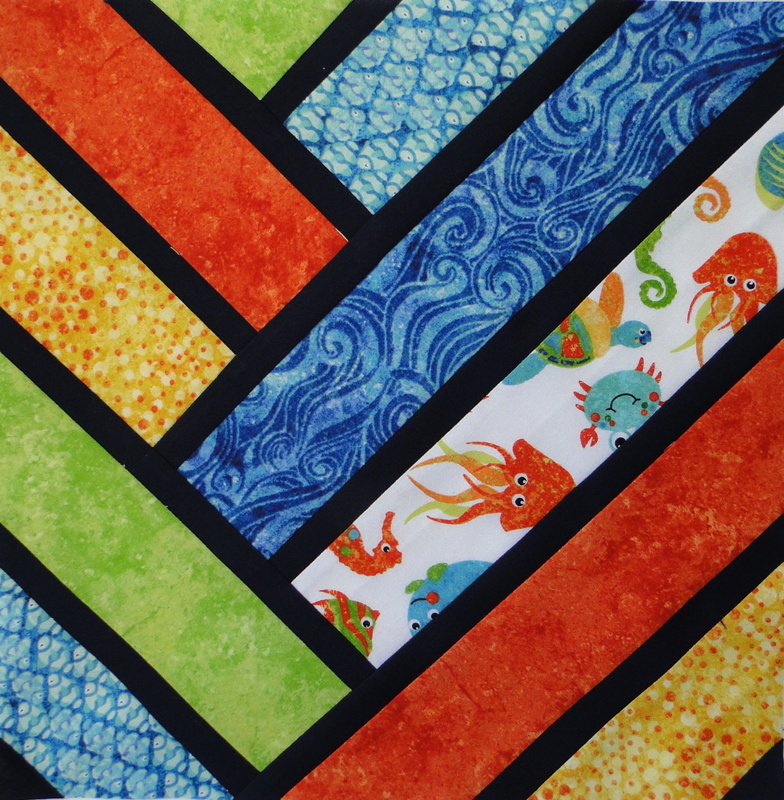 Beautiful quilt – and yay for the colours in the herringbone block. I think it’s going to get addictive!